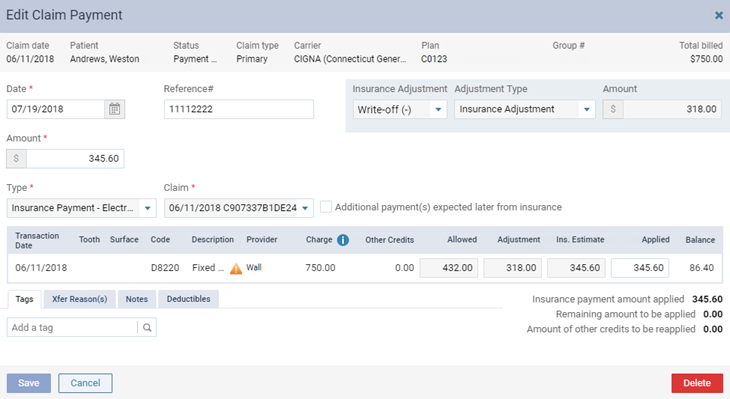 You can edit a claim payment that has been posted from a bulk insurance payment. 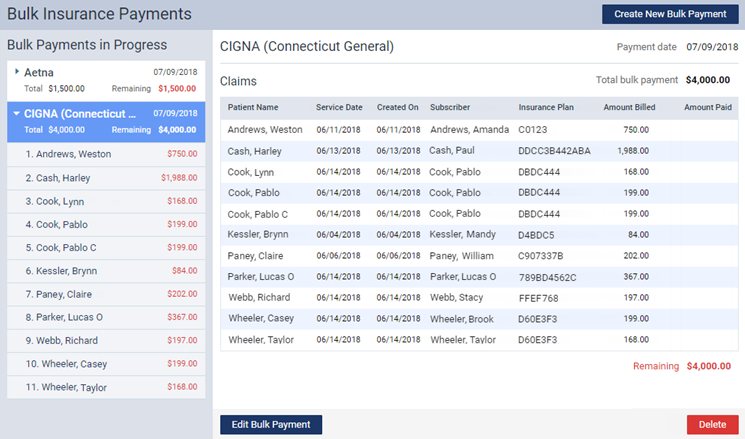 Changes to the claim payment will be reflected in the patient's Ledger. 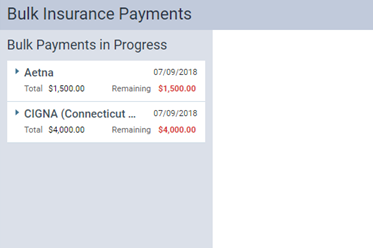 You can edit insurance payments according to your security rights for the Ledger. 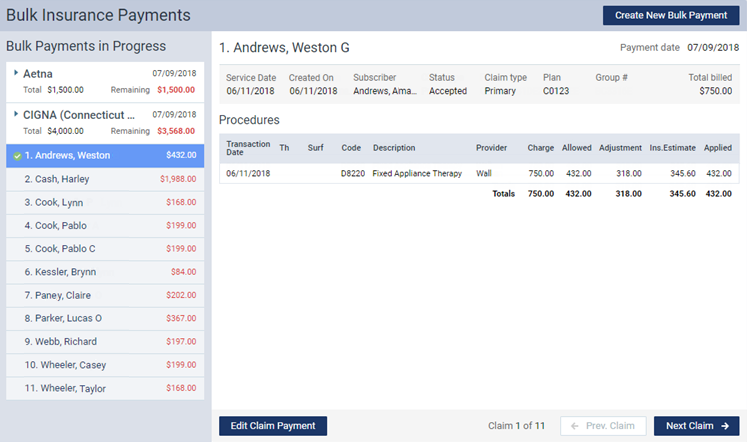 A change to a claim payment appears in the audit log. Except for the payment type and claim, change the payment details as needed, and then click (or tap) Save.